Need to crawl the web? Or looking to gather data by building a scraper? As you know crawling or scraping Java Script Apps is not possible unless you render them first. Simply add a couple lines of code in your crawler/scraper and when your application runs into a Java Script based site it will render it first so you can process the data. What is Pre-rendering and why should I worry about it? Will it affect my SEO? All these and more are answered here in this section. What is a Rendering Service? Can I setup a trial with Prerender? Enterprise customers often have complex requirements and integration validation that must be done in advance of setting up contracts. We are happy to setup proof of concepts for customers with these requirements. Just send us an email. For everyone else, we offer a Forever Free plan to enable quick and seamless trials to ensure Prerender by Golazo Services integrates with your infrastructure. However, you are always protected by our money back guarantee. If you signup for an account and can’t get it working or just change your mind, then we’ll refund your payment. No questions asked. Will Prerender work with my setup? There is almost always a way to make it work. If you aren’t sure, email us and we will talk to you about the details of integrating with your architecture. Most sites implement the proxy at the web server level (Apache, nginx, IIS, etc). If that isn’t an option (for instance, if you are running your site on Heroku), then you can implement your proxy in your application code (nodejs, Ruby, Java, etc. ). We have several customers who are doing this. Somewhere you just need to be able to intercept all your incoming requests. If the request is coming from a bot, forward your request to Prerender and return the snapshot response to the bot. If it isn’t from a bot, send your normal content. Again, if you have questions about integrating with your setup, just email us (support@golazoservices.com). You might be surprised. If you’ve read anything about SEO, you might be thinking to yourself, “This sounds an awful lot like cloaking.” Cloaking is the act of sending one set of content to users, but then sending different content to Google. Cloaking is bad, evil, and a great way to get yourself banned from Google. You want no part of it, and we want no part of it. The key is that Prerender will be sending the exact same content to Google as you send to the user. The content is the same, so there’s no problem. You will just be using a different method to send that content to Google. This isn’t just ok. It’s the best practice. In fact, the whole thing was Google’s idea. Google has a whole section on their website on making AJAX applications crawlable. Several pages and thousands of words. We’ve read them all, several times over. Prerender by Golazo Services takes care of all those details for you. Google’s website even has an FAQ where they address the cloaking question directly. It says, if you are showing different content to users and Google, then you will get in trouble. If you are showing the same content, then you are fine. At Golazo Services we require all our customers show the same content to Google and users otherwise we can (and will) remove your account. Is Prerender compatible with any kind of Single Page Application? You can find more information about how Dynamic Rendering works here. Are the Prerender by Golazo Services servers reliable? Search engine results are imperative for every business so you need them to be reliable. 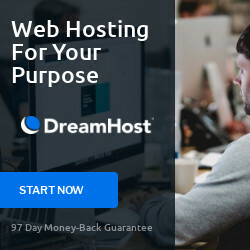 You need Prerender by Golazo Services to be reliable, and that’s why we built our system on the Dreamhost DreamCompute platform. With this platform we can guarantee you 99.99% up time at a better cost than other cloud systems. Will Golazo Services affect my pagerank? The key is proxy, there won’t be a simple redirect (like a 301 or 302). 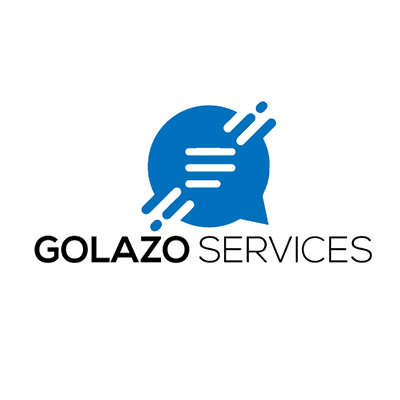 Your webserver will download the page from Golazo Services server and then hand that page off to Google. Google will see the page coming from your server and from your url. Google won’t even know that you are using Prerender by Golazo Services. That means you will get credit for your content and your pagerank.